Whether you’re on a budget or you’re looking to get creative, there is no doubt that upcycling old everyday items can not only save you a pretty penny but can also give new life to something that would have other wise been destined for the rubbish bin. Over the past few months we have been sharing some of our favourite ways to recycle old items for your wedding and today we have collected them all here in one handy guide to refer back to when your looking for some inspiration. 1. Beyoncé Lyric Glasses: Give old drinks tumblers some attitude with our sassy vinyl letters. We promise your guests will be talking about them for years to come! 2. Two Tone Ombre Tulle Skirts: Whether your looking for a way jazz up an underskirt or you want to add some colour to your outfit this two tone ombre DIY ooozes style! 3. Turn Glass Bottles into Vases: You would never believe this unique vases used to be plain ol’ glass bottles. Using paints, stencils and markers we managed to turn something old into a new piece of art. 4. Ombre Candle Favors: Everyone loves a candle right? If you are anything like me, you will have tonnes of them lying around in a draw at home. So why not put them to use? Paint the bottoms and tie together with pretty string to give to your guests as rustic wedding favors. 5. Turn Tired Teapots into Pretty Pastel Vases: One of our favourite challenges was turning these tired looking teapots into sensational centerpieces for a wedding. 6. Fun Floral Bow Tie: No matter what your style may be, every guy and gal needs a fun floral bow tie in their closet – you could wear it with a shirt or as a hair accessory. 7. 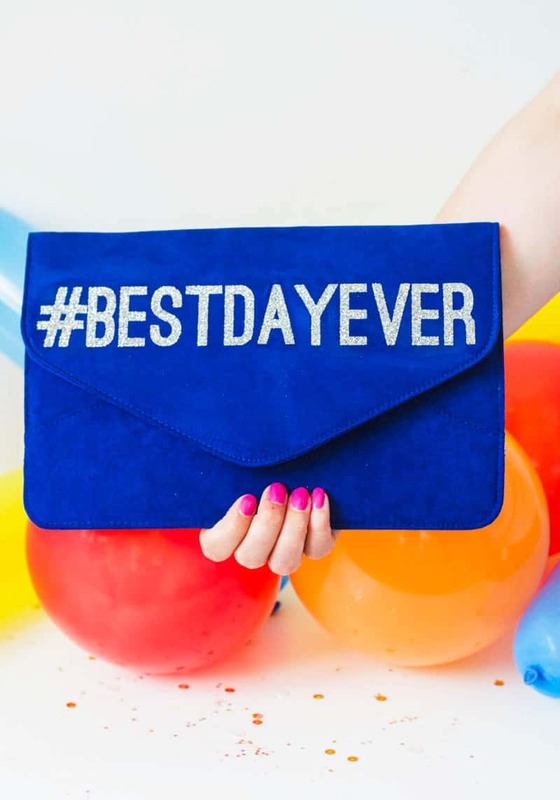 #BestDayEver Clutch: Because your wedding day really is the best day ever and everyone should know it. We turned an old clutch into a bag full of memories just with some glitter iron-on. 8. Flower Embellished Dress: When it comes to fashion, an embellished dress is a must. We show you how to make your own stylish gown simply using metallic poster board and a glue gun. Have you tried any of our DIY’s? We want to see them! Post to your pictures to Instagram using the #BESPOKEBRIDEDIY and head to our DIY’s category for loads more inspiration.